Has Angel Tax Stifled Early-Stage Funding In Indian Startup Ecosystem? Has Angel Tax Stifled Early-Stage Investments In The Indian Startup Ecosystem? Angel investors are the bedrock on which a startup ecosystem is built. They are the ones who make the first bet on emerging startups while others hesitate. While it is a risk for an angel investor, the investments come as much-needed third-party validation for startups. Angels thus play a crucial role in fuelling their journey and building successful startups of the future. Despite being part of one of the largest ecosystems in the world, Indian startups have always struggled to attract angel investments as compared to other leading ecosystems. According to the TiECON report from 2016 — when angel investments in Indian startups were at an all-time high — the percentage of global startups that were able to successfully raise capital in grocery tech, healthcare, consumer healthcare, and smart home and home improvement were 41%, 52%, and 36%, respectively. However, for Indian startups, the corresponding percentages are 5%, 10%, and 11%. Imagine, then, how crucial angel investments are, especially in the context of the Indian ecosystem. However, the insertion of Section 56(2)(viib) in the Income Tax (I-T) Act 1961, infamously called angel tax, has made angel investments few and far between. The Section 56(2)(viib) levies a 30.9% tax on the capital gains made by unlisted or closely-held companies if the value of the shares issued to investors exceeds their fair market value (FMV). The tax has sabotaged the entire startup ecosystem, creating a policy limbo and evoking protests from all associated stakeholders — from startups to investors. To understand the aftereffects of angel tax clause on startups, let’s take a look at the early-stage deals yearwise. According to Inc42 DataLabs, in 2016, the number of early-stage investment deals stood at 624 — the highest between 2014 and 2018. However, in 2017, this number decreased by 11.69% to 551, and in 2018, it fell by a whopping 46.95% to 331 as compared to the base year 2016. Last year, the fear of angel tax got real and haunted both startups and investors after a slew of tax notices were sent to startups by the Central Board of Direct Taxes (CBDT). We can see that there was a steep decline of 55.78% in early-stage funding from Q1 to Q2 and a 61.90% fall between Q3 and Q4. The decline in Q4 after an increase of 156.54% in Q3 can be related to the fact that notices on angel tax were sent to a number of startups by the CBDT during this transition period, creating a cloud of uncertainty and fear among early-stage investors. A similar trend was observed in the number of deals carried out by major early-stage investment firms (angel investors and networks), which declined significantly in 2018 from 2017. The number of deals fell from 711 (2017) to 478 (2018) in the case of angel investors and from 75 (2017) to 62 (2018) in the case of angel networks. It’s evident from the table above that there was a decline of 32.77% and 17.33 % in the participation of angel investors and networks in funding deals, respectively. In contrast to this, investments by accelerators and incubators — who’re other important early-stage investors — rose 38.46%. This can be related to the fact that most accelerators and incubators in India are primarily associated with academic institutions. As per NASSCOM estimates, about 51% of the accelerators and incubators are currently associated with academic institutions. Another reason for the surge in funding deals by accelerators and incubators was the traction they are generating in Tier 2 and Tier 3 cities due to lack of availability of investment opportunities in these cities as compared to the Indian metros. The rise of negative investor sentiment in the early-stage investment market has triggered a unique phenomenon which can be termed as the “declining angel investment effect”. This can be easily observed by mapping the Y-o-Y trend of three key metrics related to angel investors (participation in deals, unique angel investor participation, and deals per investor) from the year 2014 to 2018. As evident in this representation, we can see that participation in deals and unique angel investor participation declined by 32.77% from 711 (2017) to 478 (2018) and 30.08% from 595 (2017) to 416 (2018) respectively. In this section, we present a comparative analysis of various early-stage investor categories to determine participation from which of them has been declining the most year on year. As apparent from the table, there is a declining trend in angel investors’ and networks’ participation in investment deals from 2015-2016 to 2017-2018. This indicates that the market for early-stage investments is on a consecutive decline as angel investors and networks are considered to be the driving force of such investments. Of all the mentioned investors, only the accelerators and incubators have shown a positive trend since 2015-2016. As evident from the numbers and data presented in this article, the early-stage investment market has been on a downward streak for the past couple of years. While the angel tax dilemma is one of the most-talked-about problems in the industry at this moment, the reason behind the slowdown is not one dimensional and there are aspects to it as well. Research published by Inc42 DataLabs in its Annual Funding Report 2018 concludes that there was a decline of 15% in the total funding amount from 2017 to 2018. In contrast, if we look at the percentage change during the previous interval — 2016 to 2017 — there was an increase of 138% in total funding. This indicates that the declining trend is not limited to angel investments and that the overall market is heading the same way. The reason for this could be that since the startup ecosystem in India has matured over time, investors have become much more selective. Thereby, the pace of investment deals has declined. In 2015-2017, the average number of deals per year done was 959, which is 29.07% more than the total number of deals in 2018 at 743. Similarly, the average total funding amount in 2015-2017 was $9.2 Bn whereas the total funding amount in 2018 was $11 Bn. The Angel Tax Dilemma: What’s The Current Scenario? Section 56(2)(viib) of the I-T Act aka angel tax comes under the purview of the Department of Revenue (DoR) of the Indian government’s Ministry of Finance. It’s the CBDT under the DoR which implements and executes the policy relating to angel tax. However, startup policies at large are planned and executed by the Department of Industrial Policy and Promotion (DIPP) under the Ministry of Commerce. While the DIPP has been at the forefront of safeguarding the interests of Indian startups, the CBDT has been largely apathetic towards their problems. This is because a majority of Indian startups opt for the Discounted Cash Flow (DCF) method of valuation instead of the Net Asset Value (NAV) method while raising capital. Section 68 of the Income Tax Act deems the valuation and credit amounts (claimed by startups) explained to the satisfaction of assessing officers, who mostly refuse to accept the DCF method of valuation. After the DIPP took the matter to the Ministry of Finance, the CBDT in February 2018 issued a notice that no coercive action would be taken against startups that have adopted the DCF method. However, startups keep getting I-T notices and demand orders despite all these notifications by the DIPP and the CBDT. Many startups have even had to shut shop due to the draconian law. Angel tax is clearly an inter-ministerial issue which needs to be resolved by a combined effort. Notifications apart, the first step in the direction is making a clear distinction between capital gains and profits of startups, as the world does. What Does The Launch Of Syndicates By AngelList Mean For Angel Investors In India? 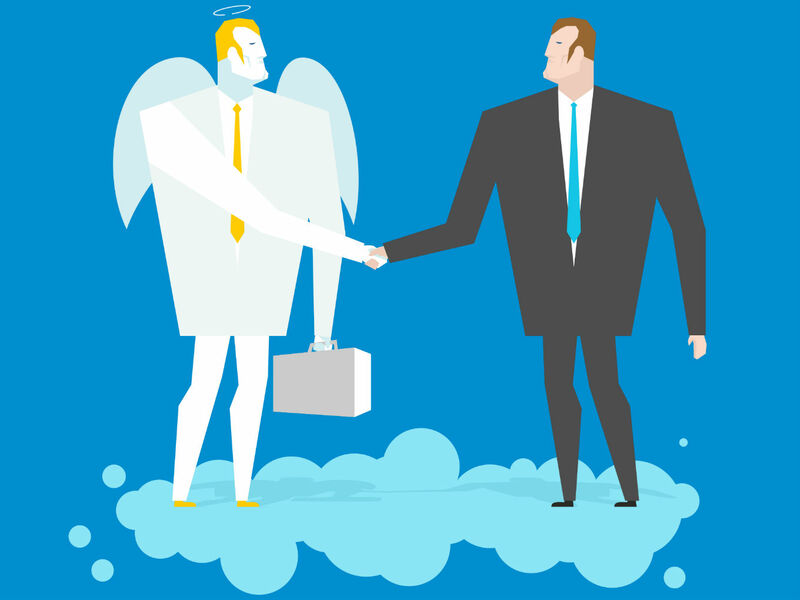 Startup 101: What Do Angel Investors Look For In Founders?